Your decision is a personal one, but it need not be a solitary one. Your veterinarian and your family and friends can assist and support you. How Do I Make The Decision? 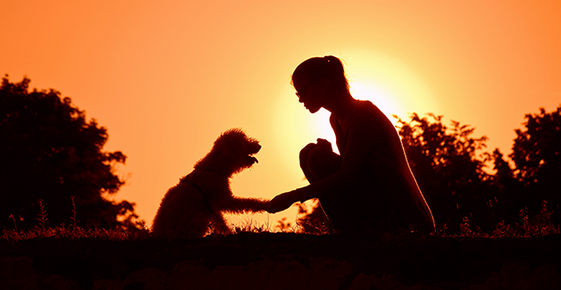 Your relationship with your pet is special, and you are responsible for its care and welfare. Eventually, many owners are faced with making life or death decisions for their pets. Such a decision may become necessary for the welfare of the animal and for you and your family. A decision concerning euthanasia may be one of the most difficult decisions you will ever make regarding your pet. Your decision is a personal one, but it need not be a solitary one. Your veterinarian and your family and friends can assist and support you. Consider not only what is best for your pet, but also what is best for you and your family. Quality of life is important for pets and people alike. How Will I Know When It's Time? If your pet can no longer do with you and your family the things he or she once enjoyed, if your pet cannot respond to you in the usual ways, or if there is more pain than pleasure in his or her life, you may need to consider euthanasia. Likewise, if your pet is terminally ill or critically injured, or if the financial or emotional cost of treatment is beyond your means, euthanasia may be a valid option. Your veterinarian understands attachment to pets, and can examine and evaluate your pet's condition, estimate your pet's chances for recovery, and discuss potential disabilities and long-term problems. He or she can explain the medical options and possible outcomes. Because your veterinarian cannot make the euthanasia decision for you, it is important that you fully understand your pet's condition. If there is any part of the diagnosis or the implications for your pet's future that you don't understand, ask to have it explained again. Rarely will the situation require an immediate decision. Usually, you will have time to review the facts before making your decision. As you make your decision, you may wish to discuss the care of the remains of your pet's body with your family and veterinarian. You have several options, and your veterinarian can provide information about burial, cremation, or other alternatives. What If the Animal is Healthy? Euthanasia might be necessary if a pet has become vicious, dangerous, or unmanageable. However, some undesirable and abnormal behavior can be changed. Economic, emotional, and space limitations or changes in lifestyle also may force an owner to consider euthanasia of a pet, but it is better to find another solution or an alternative home for these pets. Euthanasia should be considered only when another alternative is not available. "Frank and Marsha are the best! The Snook - Tunis metroplex is their home turf, for both big and small animals , with prize winning jackasses for the rodeo their specialty..."
"Cant say enuff good stuff about Doc Stein... she was there every time I needed a vet .. wish I could’ve brought her w/me when we moved back to our farm in east Texas !" "Dr. Stein goes above and beyond to help out her clients and their animals. She was our vet for 7 years while we lived in Snook and in that time she cared for our dogs, cats, and goats. I wish we could of brought her with us!"